Always have trouble with the gate code not working. The staff has a high turnover rate. My friend car was stolen the manager was not very helpful in helping me try and recover it. This Place is Awesome! I have lived here 3 years now and I love it here they have friendly staff, if you need anything fixed have questions there always there to help in any way they can. Hi LaTonya! Thank you for the review. We appreciate the feedback. I moved here for a better commute to work. I like the community around this apartment and it has nice walking trails which encourages me during my work out. Uzoma, It is awesome that you are taking advantage of the walking trails. Thank you for the review. The villas at Shadowcreek Ranch is a very quiet complex. Maintenance responds quickly and tha apartments are clean. I would recommend to someone else. Robin, Thank you for complementing our maintenance team. They work hard to make The Villas at Shadow Creek a great place to live. Very nice community. A little over priced though. Nice and friendly staff. Nice pool and cafe. Quiet property, good area. Timely maintenance. Hi Patricia! Thank you so much for your review. We appreciate the feedback. Great place to live, the staff here are awesome. Can’t beat the location. Less than 10 minutes from downtown destinations and great restaurants. Lisa, We couldn't agree more. The location is great and close to good food and shopping. Thank you for the review. Cederick, We are pleased that your move in went smoothly. Welcome Home! I love living here. It’s very quiet and a great place for kids. The property is well maintained. It has great amenities, and the office staff is very friendly. Thank you for taking the time to give us a review, Sarah! Very Professional!!! It’s so quiet and my unit is so cozy. I don’t plan on leaving at all!! They are very spacious and detailed. I love my master bedroom because it has a sitting area. So elegant!! We are thrilled that you are pleased with your apartment home. Thank you for the review, Skeowsha. I love living at this property. The staff is professional and helpful. Gabby and Amber are more like friends than office staff. They are so personable and helpful. I’ve been on property for two years in two different units and my experience has been amazing the whole way through! Monique, Thank you for the review. It is wonderful to hear that you have had a great experience living here at The Villas at Shadow Creek. Thank you for the review, Vincent! The move in process was fast and easy. Girls in office super helpful. The apartment are open, spacious, clean, and friendly. Kids playing. Walking trails. Dog friendly. Plenty of parking. I’m so happy with my move here! Eliana, We are so happy to hear that your move in process went smoothly. Thank you for the review. We love our apartment. It is very spacious and has nice walk in closets. Bigger than we ever had before. We love the swimming pool and workout gyms. We appreciate how clean the apartment complex is and how well the grass, trees and plants are maintained. This truly luxury living. Thank you so much for the review, Todd. We are glad to hear that you are using the amenities and are happy here. Let us know if we can do anything for you. I’ve only here for a short time. However my experience has been great. Thanks to Perla and her other staff members. Thanks for treating both me and my children like family. Welcome Marcella, to you and your family. Let us know if we can assist you in any way. Thank you for the review. I love the convenient location of my home and absolutely love that repairs are done SUPER quick! I appreciate this as a very busy parent of three and healthcare shift worker. Thank you so much for the review Shannon. We love to hear what a great job our maintenance team is doing. I have enjoyed living here. It is in a great location and it is close to my work which is very convenient. Also I have enjoyed all of the amenities that are offered. Hi Leslee, Love hearing that you are taking advantage of the amenities. Thank you for the review. Gwendolyn, it is awesome to hear that you are still happy after six years. Here's to another six! I'm loving it. Very quite and peaceful. Amber was my representative. She is very professional and helpful. I would refer someone to move here at The Villas at Shadow Creek. Welcome Home Erica! We are thrilled to have you as a resident. I still like living here after three years. This has been home for me for a while now. Ill probably do another year if things continue to be nice. We are very pleased to hear that you are already thinking about renewing your lease again, Jonathan. The property is conveniently located in the Pearland area. I was attracted to the beauty of the property. Pearla was so warm and friendly. She made the leasing process very easy. 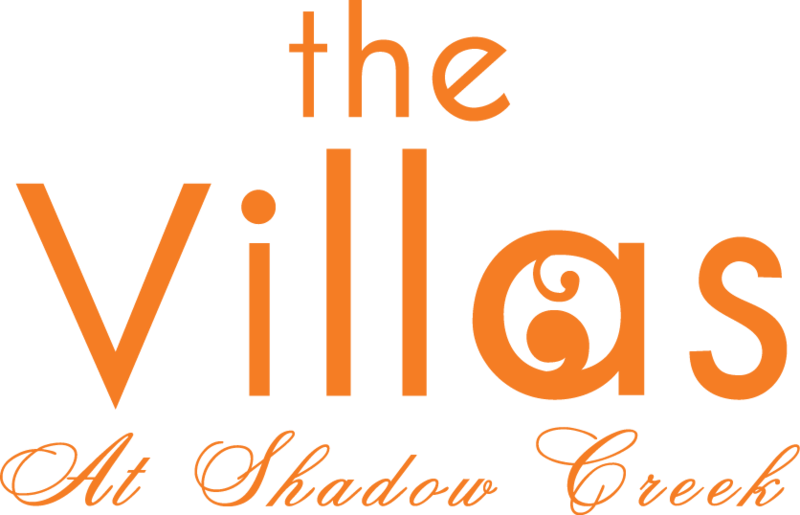 I look forward to my new space at The Villas of Shadow Creek!!! Gladys, we are thrilled you chose The Villas at Shadow Creek as your new home. Perla is pretty great, glad she made the process painless for you. Thank you so much for the wonderful review, Latrice. We are thrilled you are so happy here. Overall, I’ve been impressed with the community. We have not been as impressed with the upkeep of the building/the faulty apartments. We like the rewards app. Jordan, Thank you for the review. Please contact the office with more detailed information about your concerns regarding the building upkeep, so it can be addressed. Thank you! I just moved in about a week ago and so far I have no complains. The people that live in my building are very quite and the people I have met appear to be very friendly.The community is very clean. Hi Jamelia! Thank you for the your review and welcome home! I’ve enjoyed living here. I have met most of my neighbors. The gym is a little small, they have just open the yoga studio and I plan to try it. Yesela, The yoga studio is awesome great. You must check it out. We hope you enjoy it. Thank you for the review.